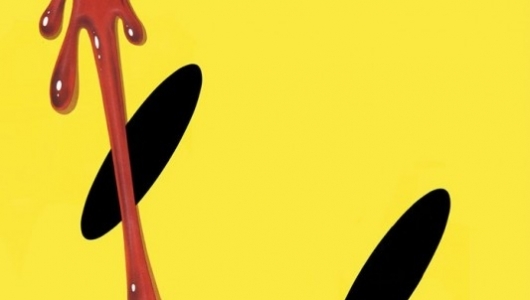 HBO hasn’t ordered Damon Lindelof‘s TV show adaptation of Alan Moore and Dave Gibbons‘ comic Watchmen to series yet, but they have ordered a pilot episode to aid them in making a decision. And the cast for that pilot episode just added a big name. It’s being reported that Academy Award winner Jeremy Irons has signed on for the pilot, which would be only the second major TV role for the actor should HBO order it to series. The other being The Borgias. 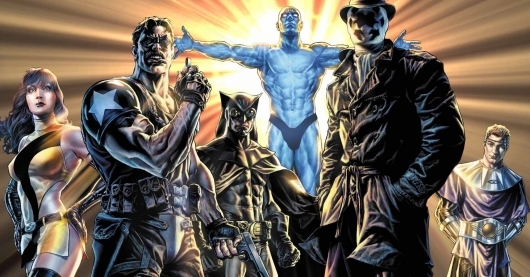 After LOST and The Leftovers co-creator Damon Lindelof shared a lengthy letter with Watchmen fans about the potential HBO TV series based on the beloved comic earlier this week, some of the cast for the pilot episode ordered by HBO has been revealed. According to reports Regina King, Don Johnson, Tim Blake Nelson, Louis Gossett Jr., Adelaide Clemens, and Andrew Howard will be starring in the first episode, which will ultimately decide whether HBO moves forward with the series or not. Silent Hill: Revelation is just one of those films that went quietly into production. It’s been six years since the release of the first Silent Hill movie, and now we are getting a first look at its sequel. Check out the trailer below. Plagued by nightmares of events that occurred six years ago, Heather Mason (Adelaide Clemens) must go back to Silent Hill to save her father and discover who she truly is. It may sound a bit existential, but when combined with some horror elements, it might be some fun to watch. Characters from the first film like Christopher De Silva (Sean Bean), Dahlia Gillespie (Deborah Kara Unger), and Pyramid Head are all coming back, while actor Kit Harrington, who plays Jon Snow on TV’s Game Of Thrones, has been added to the cast this time around. Like most video game adaptations, there will be nods to the video game franchise that only fans will be able to recognize. The film is primarily based on the Silent Hill 3 video game. One of the more under the radar movies to show up in Hall H at San Diego Comic Con had to be Silent Hill: Revelation 3D. It’s not that the first movie was horrible, but I don’t think anyone expected to see a sequel made. The Silent Hill panel gave attendees a chance to find out if they should get excited for the new movie not. 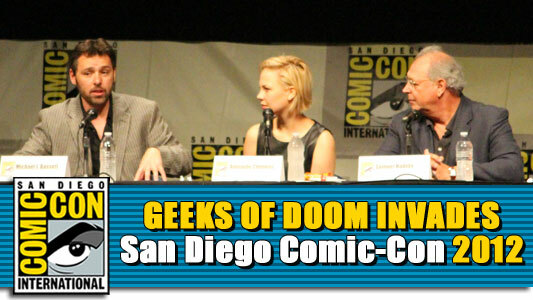 The panel started off with two clips from the film. One featured the films heroine, Heather (Adelaide Clemens), facing off against a mannequin monster. The other clip featured Heather attempting to rescue Vincent (Game of Thrones star Kit Harrington) for a group of featureless nurses. The clips captured the feel of the video games, and were at least a little creepy. Unfortunately, the clips were shown without any context, and fell a little flat on the crowd. The 3D in the film looked okay, and the films writer/director Michael J. Bassett said that the film was shot entirely in 3D. A pair of new actors have joined the cast of Silent Hill: Revelation, the sequel to 2006’s video game adaptation, Silent Hill. Malcolm McDowell and Carrie-Anne Moss have been added to the production, and they will be playing Leonard and Claudia Wolf. McDowell is best known for his work on the Stanley Kubrick classic A Clockwork Orange, as well as movies like Halloween (2007), Halloween II (2009), and Bolt. Moss is of course best known as Trinity in The Matrix trilogy, and has also appeared in movies like Memento, Fido, and Disturbia. A new image for the movie has also been released, which you can see above. Continue reading for more and to read a brief synopsis of the sequel. Up and coming actress Riley Keough is currently in talks to grab a role in Mad Max: Fury Road, the upcoming fourth title in the franchise. Keough is the daughter of Lisa Marie Presley and granddaughter of beloved King of Rock, Elvis Presley. 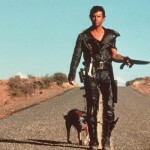 The original three films — Mad Max, The Road Warrior, and Mad Max Beyond Thunderdome — all starred Mel Gibson as a man whose family were brutally murdered at the hands of a biker gang in a dystopian and eventually post-apocalyptic future where anarchy reigns. After gaining his revenge for the tragedy, Max goes into a deep, dark place, but eventually resurfaces as a warrior ready to protect the innocent and fight the evolving evils of the depressing world.